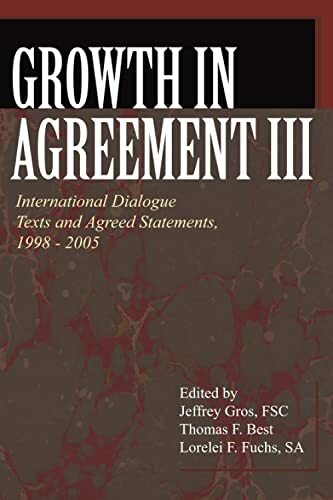 This volume contains the official dialogue results and common statements issued between 1998 and 2005 by an astonishingly wide range of Christian churches and communions. Reflected here are the solid advances made by well-established dialogue partners, as well as explorations in dialogue by churches new to the dialogue process at world level. Also included is the ecclesiology text adopted by WCC member churches at their assembly in Porto Alegre, Brazil.